Electric razors are arguably the best option for shaving on the go: they’re practical, portable and fuss-free to operate. 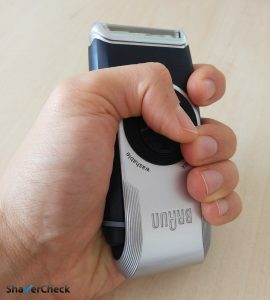 But mobile shavers also exhibit some specific limitations, so when choosing the right travel electric razor one must take into account several key aspects. In this article we’ll take a look at what makes a good travel razor and what are their pros and cons; we’ll also check out some of the more popular models on the market. What to look for in travel electric razor? There are a few hallmarks of a quality travel razor. Here’s a quick rundown of what to look for when buying one. 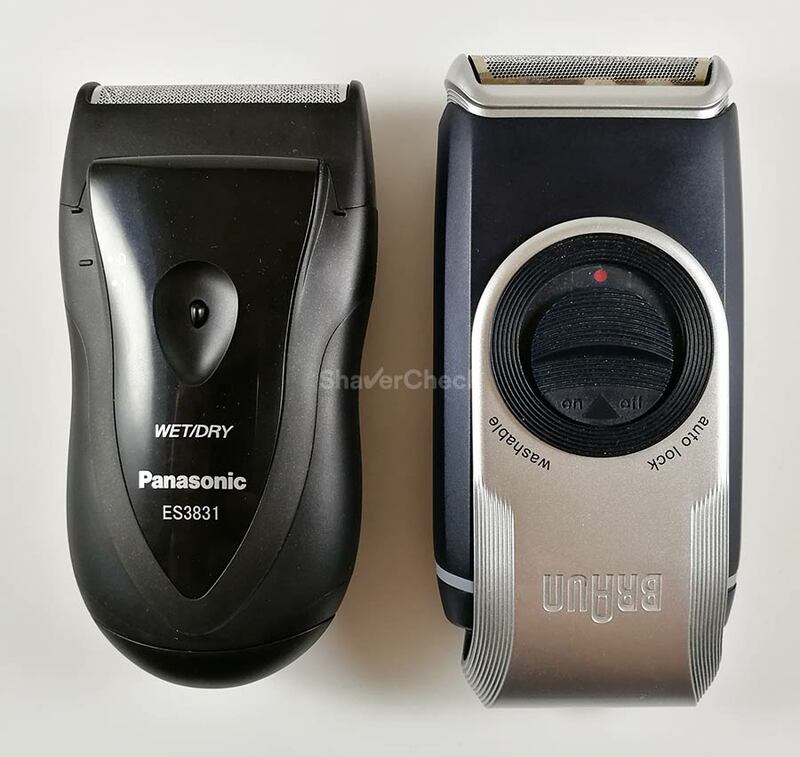 Panasonic ES3831K and Braun M90, two of the best-selling travel shavers. Travel lock and protective cap. This one is pretty self-explanatory and of great importance in my opinion. 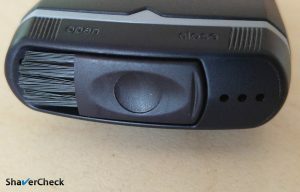 An electric razor that is suitable for traveling must incorporate a locking mechanism to avoid turning it on by accident. Also, the shaving head, particularly in the case of foil shavers, is very sensitive to mechanical shocks, so a protective cap is a must when traveling. Replaceable batteries. I personally think that regular batteries are the optimal solution when it comes to travel razors. These batteries are cheap and readily available. Moreover, this eliminates the need for a power cord and that’s an extra item to be carried around. Not to mention that you can easily forget about it and leave it at home. Or in your hotel room. Compact size. Portability is one of the main reasons one would buy a travel razor, so look for one that is compact in size and lightweight. Small power brick. 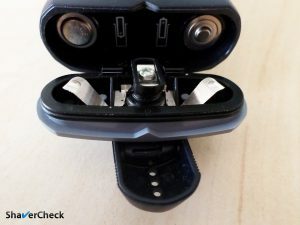 If your razor doesn’t use regular batteries, then at least make sure that it has an automatic worldwide voltage converter (100 – 240v) and that the charger is compact in size. Decent performance and low price. Performance-wise, a travel razor can’t match a full-fledged electric razor. However, some of them are better than others and manage to perform quite decently. 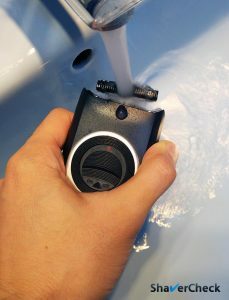 Let’s take a look at some of the more popular mobile shavers you can buy and decide which one would suit you the best. Integrated protective cap and travel lock. This is one of the most brilliant solutions you’ll find on any electric shaver. 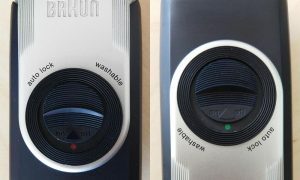 Braun has masterfully integrated a rotating protective cap that also acts as a travel lock: when it covers the foil, the ON/OFF switch is locked in place and can’t be operated. This is a rare find on travel razors; while it is very small and only suitable for touch-ups and light grooming, it is definitely a welcome addition. The M90 is powered by regular AA batteries, making it very versatile and great to be used on the go. 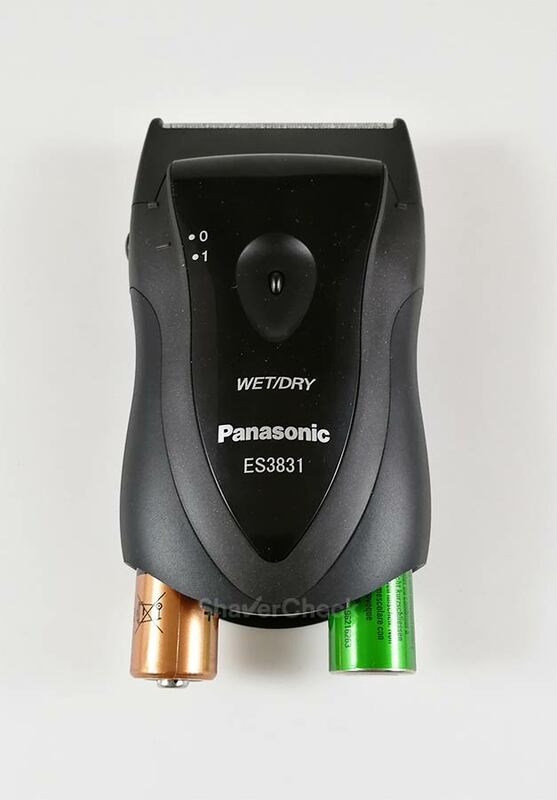 This shaver can be safely rinsed under tap water as rubbers gasket are used around the battery cover and other parts to keep water away from the internals. As a result, cleaning it is a breeze. 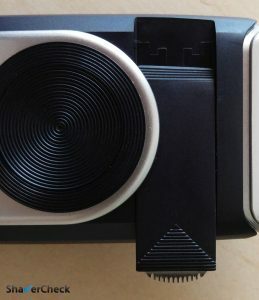 Another sample of an innovative and simple design solution is the integrated cleaning brush that stays securely attached to the back of the razor. The M90 is remarkably well built and feels very sturdy. I would even go as far as saying that you don’t really need a travel case for it. The foil is also very well protected by the sturdy plastic cap. The performance is what you would expect from a small, inexpensive mobile shaver. It is good enough for shaving daily, but don’t expect too much in terms of closeness. It will get the job done and probably better than any other travel razor, but you’ll have to spend more time to complete a shave than you would with a proper electric shaver that has a more powerful motor and multiple cutting elements. Overall, the M90 represents the best package as far as travel razors go. You can also check out my in-depth review of the Braun M90 here. This Panasonic is my second recommendation for an electric travel razor. And it has a few advantages over the Braun M90 above, but also some shortcomings. First let’s check out the good parts. 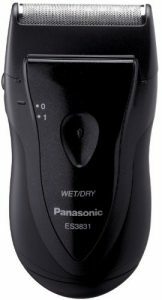 The Panasonic ES3831K is powered by a snappy 8500 linear motor, a significant bump in performance compared to most other compact shavers. This will translate into faster and closer shaves. Don’t expect Arc 3 level of performance, but definitely good enough for a travel razor. 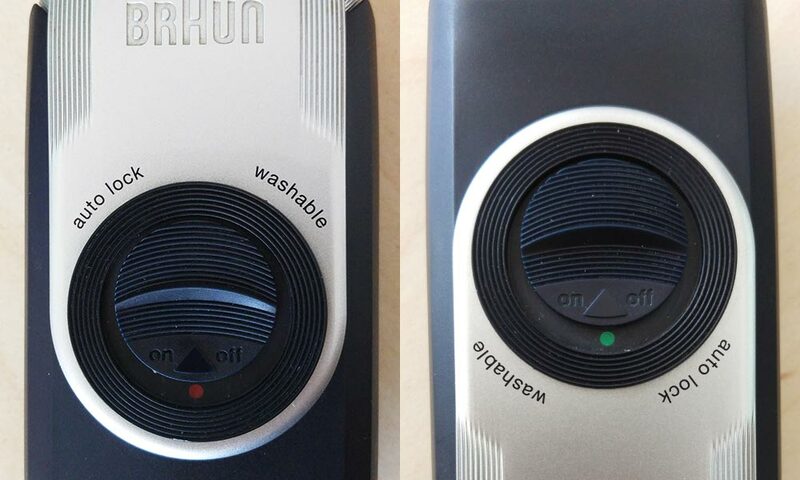 While the Braun M90 is fully waterproof for cleaning purposes, it can only be used dry. The Panasonic however can be used with shaving cream, which can improve the comfort and the closeness of the shave. I don’t personally think that many men would go through the trouble of carrying and using shaving cream when traveling — after all, you buy a travel shaver to get rid of that — but it’s nice to know you have that option. Just like the M90, the ES3831K uses two AA batteries. 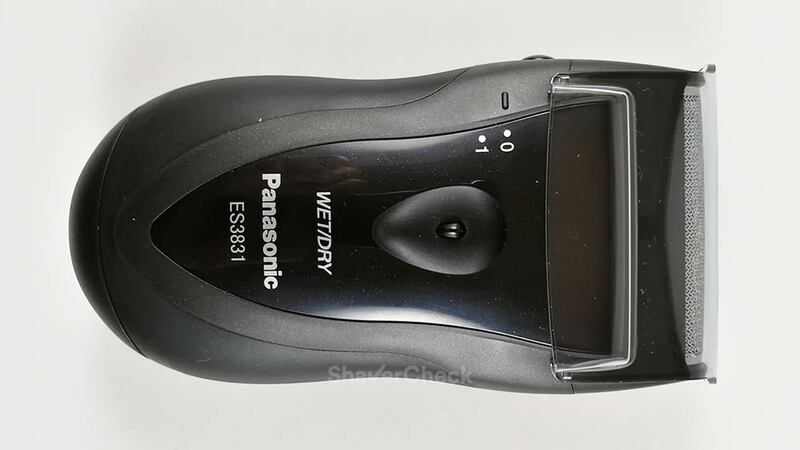 The price of the Panasonic ES3831K is significantly lower compared to the M90. 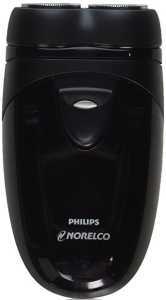 In fact, it’s among the cheapest travel shavers you can buy. Protective cap and travel lock. The ES3831K also ticks this box, even though Panasonic’s implementation isn’t as impressive as the one from Braun. Located on the triangle shaped ON/OFF slider there’s a little button that you must press in order to be able to operate the slider. With the cap on you won’t be able to do it, so it doubles as a travel lock as well. As for disadvantages, there’s no pop-up trimmer, which is a bit of a bummer. 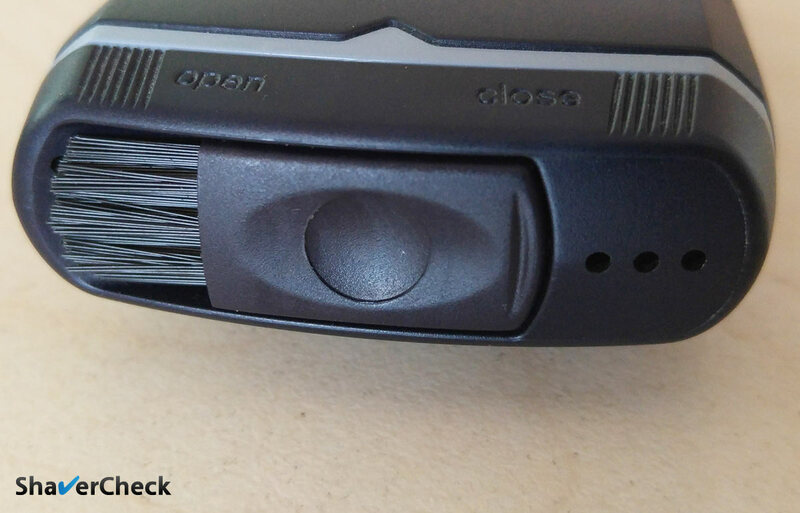 The build quality also seems to be better in the case of the M90 and the materials used by Braun are grippier. 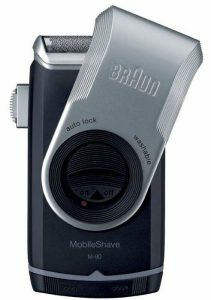 Finally, in my experience the Braun was more comfortable and also managed to provide a slightly better shaver when used on a short beard. The performance of both these shavers is pretty bad when shaving longer, flat-lying hairs, so it’s best to use them daily. Choosing the Panasonic ES3831K or the Braun M90 comes down to your personal needs. The Braun has the edge in terms of build quality and performance, while the Panasonic has the advantage of much lower price and wet/dry use. Either way, these two are probably the overall best travel electric shavers you can buy. You can check out my in-depth review of the ES3831K here. If you prefer rotary razors, then the PQ208/40 from Philips Norelco is another good option. Performance-wise they’re again pretty similar, but I find foil shavers to give a slightly closer shave. Also the Braun M90 and Panasonic ES3831K above are easier to clean and fully waterproof. Should you use a travel electric razor? Well, it depends. 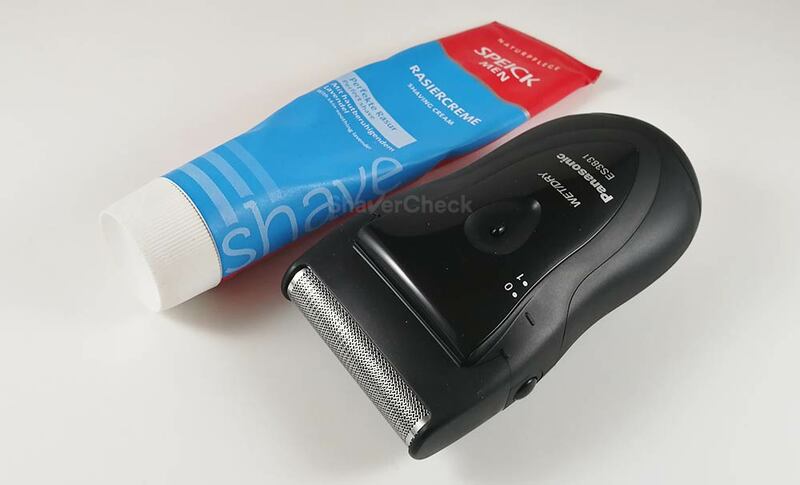 Some men can even get away with using a travel razor as their main, daily shaver, while others can’t stand using one for a few days when traveling. 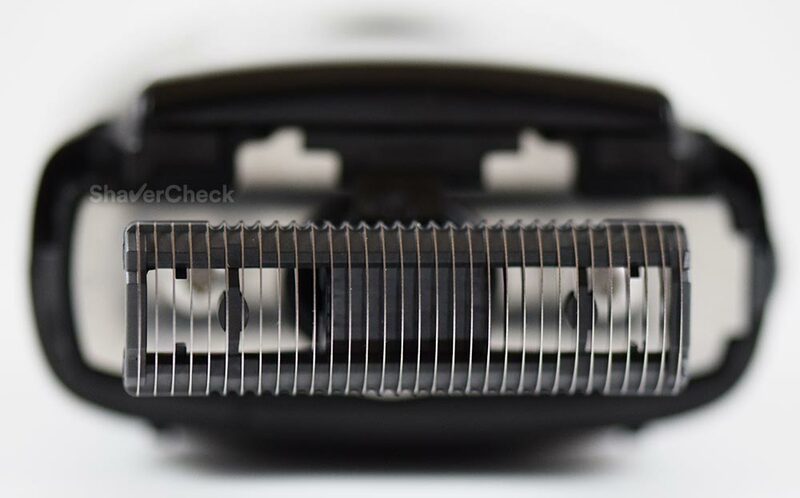 Travel razors feel under-powered and usually have a single cutting element (in the case of foil shavers) or two shaving heads (rotary shavers), so completing a shave takes more time. If you want a close, comfortable and fast shave or you have coarse facial hair then just opt for a more capable, regular electric razor. The same goes for men that don’t want to shave daily as travel razors don’t fare well with long hair. I prefer to give up a bit of space in my luggage for a proper electric razor and enjoy a decent shave. When I am away for shorter periods I also leave the charging cord at home as a fully charged razor should easily last for a few days of shaving. I only recommend doing so for short voyages. My personal pick is the Panasonic ES-LF-51. from the excellent Arc 4 line. 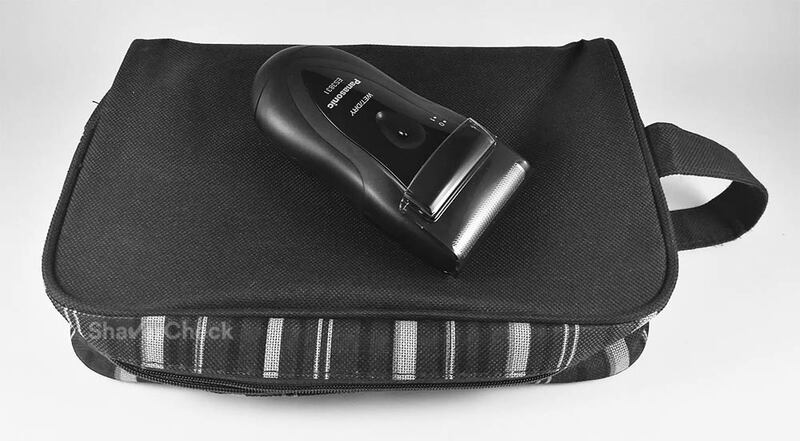 It is surprisingly compact for a 4 blade shaver, it’s easy to clean, features a travel lock, protective cap, integrated pop-up trimmer and comes with a handy faux leather travel pouch. 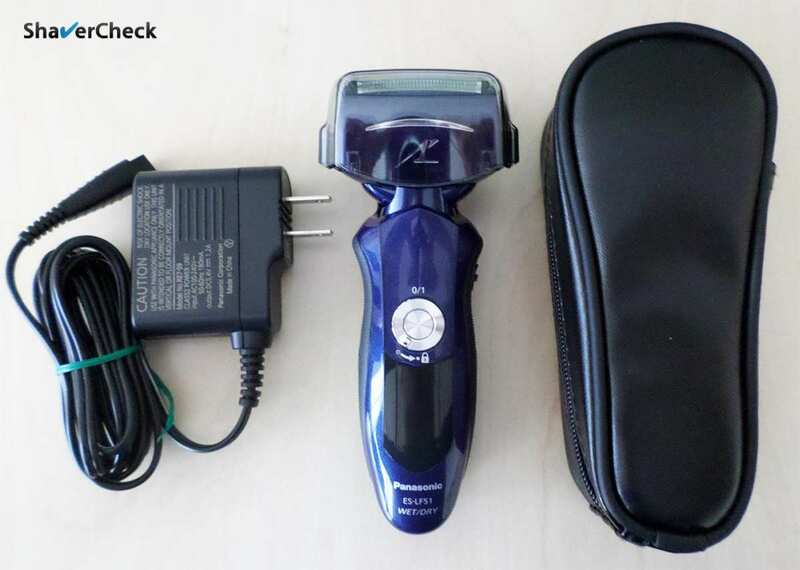 The performance of this electric razor is also very good, a huge step from any travel razor. I also own a Braun M90, but I rarely find myself using it. It’s very practical as you can just toss it in your glove box, gym bag or keep in a drawer for some impromptu shaving sessions. But using it constantly, even for just a few days in a row, simply does not work for me. The best argument for travel razors is the price and convenience of replaceable batteries. If it gets damaged or lost it won’t be that big of a problem. In the end, the right electric travel razor can either be just your regular shaver or a dedicated mobile one. The decision is entirely personal. You might as well use both depending on the circumstances. Something like the Braun M90 works great if you want to travel light for just a few days. But if a few cubic centimeters in your luggage are not a big deal, then you can bring along a proper razor and really treat yourself. Just make sure to consider the must have features of a travel razor outlined in this article if you decide to choose one. Home » Articles & Guides » Best Shavers » What’s the Best Travel Electric Razor? I disagree that the batteries should be replaceable – unless of course they’re triple A. Then you can just “borrow” them from the hotel TV remote controller ! Seriously, it’s a major pain when you’re half way through your shave and the batteries crap out. Then it’s not only a question of where do I go to get some new ones but more importantly do I even have TIME to do this. Even if the hotel has some to sell me I hate being ripped off by the price they charge. A better solution is to have a shaver that recharges from something you ALREADY CARRY – a USB cable ! Unfortunately the Chinese ones I’ve found so far are terrible. The heads are very narrow and the shave quality quite poor. I wish Braun would make one. That’s actually a very valid point. I prefer replaceable batteries so I won’t have to carry a dedicated charging brick. A decent travel shaver fitted with a micro-usb or even better, a USB type C connector would be amazing. I think you’re on to something here. A Braun user on Amazon said batteries last a month. If that’s true, if you put fresh batteries in before your trip, I wouldn’t worry about them dying unless it was a VERY long trip. In which case, you’d have plenty of time to buy more or just take a couple more with you from home. Alternatively, there are many small AA USB battery chargers. But, has anyone actually tried rechargeable NiMH or Lithium batteries in any of these shavers? I ask because some electronics are optimized or alkaline batteries and don’t work well with rechargeables. For example, does the motor run as well with rechargeables vs alkaline? Thank you for your comment. 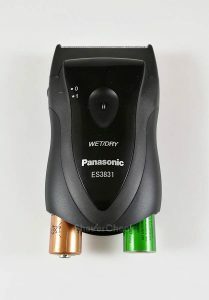 I’ve only used the Panasonic ES3831K and the M90 with rechargeable AA batteries and they worked without any issues. I haven’t tried the Norelco yet, but I’m pretty sure it’ll work just fine as well.